At Baystate Mold Advisors, LLC, if you have a problem with a wet basement or a foundation in need of repair, you can always call on us. We have been fixing wet basements for more than 16 years. And it comes with a Warranty! 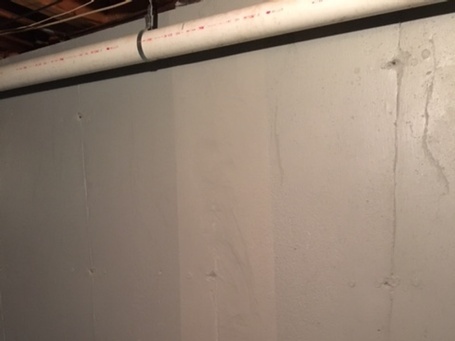 With our expertise in crack injection repair, reinforcing foundation walls, we can make your basement and foundation problems a thing of the past. We also have excellent results from our waterproofing paint for poured and block foundations. Contact us at (508) 930-7326 for Foundation Crack Repair Services for your home. We are highly skilled in foundation crack repairs. Urethane crack injection repair stops water leakage, and epoxy injection strengthens the wall in the cracked area. The staple / toe stitching solution we use can even make your foundation wall stronger than it was before. Another of our specialties is reinforcing bowing block walls, keeping them from eventually caving in. This prevents you from having to replace your building’s foundation, an expensive process. We complete the process using carbon fiber/Kevlar grid strips, that are only as thick as dime and stronger than steel when applied! we have carbon fiber mesh reinforcement for stronger repairs! You can reach us at (508) 930-7326. We provide Foundation Crack Repair Services to clients across Brockton, Canton, Mansfield, Taunton, Kingston, Hanover, Hingham, Cohasset, Sandwich, MA.